It has been a busy month and this news is a little late – but better late than never! The committee wants to thank all of those members who participated in the club’s fundraising efforts leading to the AHARS Buy N Sell event this year. The club again was able to muster a wide variety of items for the tables and trade was brisk. 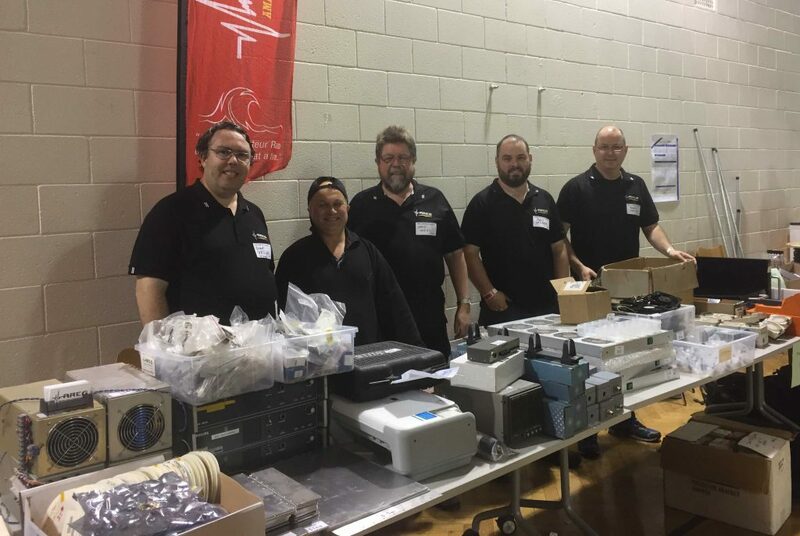 A lot of preparatory work went into the event lead by Scott VK5TST who hosted many working bee’s preparing items for sale. On the day, the club was represented by Grant VK5GR, Mark VK5AVQ, Chris VK5SA, Andy VK5AKH and Scott VK5TST . Thanks team for a job well done! This entry was posted in Club Activities by AREGNews. Bookmark the permalink.